The Royal Football Federation of the Region of Murcia has signed an Agreement with Elite Capital to provide turnkey project implementation solutions to the respective countries. London, UK (AGENCIES) Jan 9, 2017 — Mr. George Matharu, President of Elite Capital & Co. Limited (ECC) announced today that ECC Chairman, Dr. Faisal Khazaal, has signed a Strategic Co-operation Agreement with the Royal Football Federation of the Region of Murcia (FFRM). FFRM was keen to conclude this deal with ECC to support development projects in countries around the world for the benefit of the local people and societies. FFRM promotes the concept that sports are not only limited to physical activities, but include supporting all projects that contribute to the character building of promising young people to make them physically and mentally rounded, which is one of the major objectives of all sports people and all those who promote sports. Elite Capital & Co. Limited (“ECC”) provides turnkey solutions for Government Infrastructure Projects, such as Roads, Bridges, Sea Ports, Power Plants, etc. These projects will typically be implemented in developing countries. The “turnkey solution” means that ECC provides a world class EPC Contractor to perform the work, and provides the finance to complete the project against a Sovereign Guarantee or Bank Guarantee issued by the respective country. “We at ECC are pleased with this agreement because economic support to developing countries is one of our main goals since Dr. Faisal Khazaal established our company in 2012. Agreements of this kind lead to further progress toward achieving the desired goals that we all seek to achieve,” Mr. Matharu said. 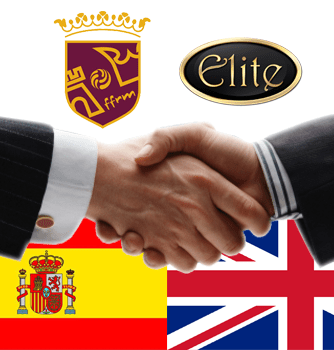 Elite Capital & Co. Limited works with first class international construction companies that have a successful track record of delivering major construction projects all over the world. Additionally, we provide funding for the said projects, thereby offering a “Turn-key” solution for project implementation and financing.